As a romance author who writes in several genre, I wanted to keep my romance books separated by sub-genre. Secret Cravings published my contemporary hot military books and Sweet Cravings published a sweet Christmas story (with a touch of spice) last year. Unfortunately, the publisher closed last week. My books published there are no longer available. After they are taken down and the rights revert to me, I will speak with my other publishers about releasing them there. SCP was great to work with and I wish things had gone better for them. Their business model was great, their contract fair, and they paid on time. It’s difficult, however, for publishers to be successful when readers download pirated books for free, authors believe that giving away books is a great marketing tool (I disagree), and self-publishing has become so easy. 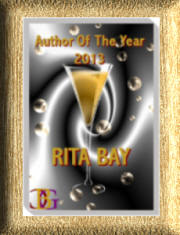 The publisher/owner was a pleasure to work with and I wish her and the other authors only the best. Since I will need a new publisher(s) and covers, I plan to take advantage of rewriting and editing all the books. More later. Monday: I edited the above and am adding a bit. I published my unfinished post yesterday because The Last Ship finale was about to start. Sic semper tyrannis – Thus always to tyrants. It’s from Julius Caesar and the words John Wilkes Booth shouted when he shot President Lincoln. What a cliffhanger!! Anyway, every author wishes they could have written a story a bit differently or, in my case, added a scene or two. I plan to do that before I send the books out to publisher(s). More later,on how it goes.